Last week, President Trump announced that he would cut foreign assistance to Guatemala, Honduras, and El Salvador, to punish the Central American governments for failing to stem the record levels of children and families from these countries approaching the U.S. border to seek asylum. President Trump has implemented a series of “get tough” measures at the U.S. southern border that have failed to curb migration, while causing family separations and other abuses. Cutting assistance to the countries of the Northern Triangle is one more counterproductive strategy. 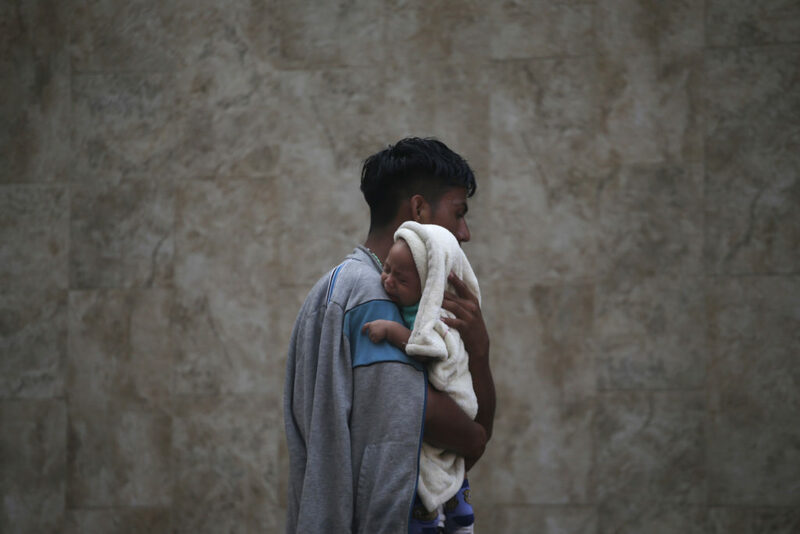 While each migrant has a unique set of reasons to leave their home behind, structural problems including endemic crime and violence, widespread corruption, and poverty create the conditions that force many Central Americans to leave. The only way to tackle these large-scale challenges is with long-term, sustainable strategies that acknowledge realities on the ground, and partner assistance with political support. Current foreign aid supports the implementation of a strategy launched with bipartisan support from Congress in 2015, to help address the factors driving forced migration from the region. For the last several years, U.S. Members of Congress on both sides have supported this comprehensive strategy and, from 2016 to 2019, have allocated over $2.6 billion in foreign assistance to Central America. The Trump administration has been slow-walking the disbursement of hundreds of millions of dollars in aid in FY17 and FY18 that Congress approved for the region. Now, President Trump has decided to cut assistance all together. 1.) U.S. aid contributes to many programs that are helping make Central America safer and more prosperous. Establish municipal-level committees that bring together local groups, churches, social services, and local government agencies. Support initiatives to improve public spaces. Partner with local governments to implement community policing and other strategies to curb high crime rates. Work with at-risk communities by providing safe spaces for vulnerable youth, skills training, workforce development, and mentorships. While much more long-term investment is needed to increase the impact of prevention programs, they have been successful in increasing citizens’ sense of security, while also contributing to a decrease in gang presence and a reduction in crime. U.S. assistance also supports critical efforts to promote human rights, tackle corruption and strengthen the rule of law. Throughout the region, citizens and activists have suffered from the inability of the criminal justice system to provide adequate levels of public safety. Meanwhile, they have been victims of repressive police tactics and abuse at the hands of security forces. Among the countries of the Northern Triangle as a whole, impunity rates for homicides average about 95 percent. The 2017 Global Impunity Index ranked El Salvador as the country with the 13th highest rate of impunity in the world, while Honduras was ranked 12th. Assistance, carefully targeted to strengthen institutions and support due process and human rights, contributes to addressing these problems. While there is a debate to be had about the focus of some development assistance efforts, there is no doubt that eliminating programs that meet humanitarian needs, respond to emergencies, and support education is a mistaken approach. U.S. aid provides support to civil society organizations that promote government oversight and transparency, and others that advocate for human rights concerns. In both Guatemala and Honduras, the U.S. government provides funding to the International Commission against Impunity in Guatemala (CICIG, by its Spanish initials) and the Mission Against Corruption and Impunity in Honduras (MACCIH, by its Spanish initials) which have been working with local prosecutors to investigate corruption and enhance institutional investigative capacities. In addition, the U.S. government provides training and technical assistance across the region to attorneys general, prosecutors, and judges to help investigate and prosecute corrupt officials and criminals. Another large portion of U.S. assistance aims to address development needs in the Northern Triangle. Central American countries are largely agricultural export-based economies. Many of the recently arriving Guatemalan migrants stem from indigenous farming communities in the Western Highlands, where malnutrition is endemic and widespread. Recent devaluation of major crops and climate change has made it difficult to harvest typical agricultural goods like coffee and corn. U.S. funding supports programs that work with communities highly vulnerable to climate change and natural disasters, as well as programs that aim to expand access to education in rural communities. While there is a debate to be had about the focus of some development assistance efforts, there is no doubt that eliminating programs that meet humanitarian needs, respond to emergencies, and support education is a mistaken approach. (Review WOLA’s Central America Monitor for a more in-depth look at U.S. assistance to the region). 2.) Most aid to Central America goes to implementing agencies, non-governmental, development and humanitarian aid organizations, churches, and other groups. The U.S. does not provide direct budgetary support to the governments of Central America. Only a modest percentage of U.S. assistance supports programs implemented in coordination with the federal governments. Because of this, criticizing Northern Triangle governments and proceeding to cut off all assistance to those countries does nothing to reprimand the governments themselves. There are valid criticisms about how aid is distributed. These concerns should be addressed by ensuring that assistance is strategically targeted, properly implemented, and that well-defined progress indicators and outcomes are used to ensure that U.S. assistance is achieving the desired results. 3.) The aid is tied to strong conditions. The governments of Central America must be held accountable for a lack of commitment or cooperation in advancing much-needed reforms. With this in mind, Congress has placed a strong set of requirements on the aid to the Central American governments based on progress in protecting human rights, strengthening the rule of law, tackling corruption, and addressing poverty and inequality. The Trump administration and Congress should ensure that these conditions are enforced and that any funds directed to central governments are withheld or suspended when those conditions are not met. Similarly, the U.S. government must ensure that it is not complicit in fueling violence and instability in the region. This should entail withholding security assistance when abuses are committed by security forces or security aid is misused. 4.) Abruptly zeroing out U.S. assistance would have a ripple effect, impacting other donor efforts to improve the lives of Central Americans. Several other bilateral and multilateral donors have been providing their own assistance to help improve security conditions, create accountable institutions, spark economic growth, and empower civil society organizations in Central America. Increasingly, donors have sought to coordinate efforts and avoid duplication. Should the U.S. government cut aid from the region, it could undermine work done in conjunction with other donors and partners in the region. If the Trump administration is serious about holding the Central American governments to account, it should ensure that support for democratic governance, the rule of law, and anti-corruption are top priorities for U.S. policy in Central America. Corruption permeates nearly all government institutions throughout the region. This has crippled the ability of state institutions to provide citizens access to quality education, health, public security and other basic public services. Any U.S. assistance must be coupled with strong, firm messages when faced with democratic backsliding and measures that undermine the rule of law, as is currently the case in Guatemala and Honduras. Corruption has also allowed criminal networks to infiltrate the state. In the Northern Triangle, political elites, sometimes heavily aligned with criminal networks, do not find it in their self interest to invest in building accountable institutions or instituting more equitable tax policies, much less pushing through the social programs needed to bring relief to their country’s impoverished majority. In turn, state institutions are purposefully debilitated and reformers are often marginalized or intimidated. All this is why strengthening the rule of law and tackling corruption are critical to reducing violence and improving development in Central America. More concretely, prioritizing the rule of law would entail demonstrating political support to successful anti-corruption initiatives such as the CICIG and the MACCIH, as well as to those within and outside of government who are at the forefront of the fight against corruption, particularly when they come under attack. Any U.S. assistance must be coupled with strong, firm messages when faced with democratic backsliding and measures that undermine the rule of law, as is currently the case in Guatemala and Honduras. This should include the use of targeted sanctions against government officials and individuals to make clear that corruption and human rights abuses will not be tolerated. Regrettably, beginning in 2017 U.S. political support for anti-corruption efforts has been waning. In Guatemala, the government has repeatedly sought to dismantle the CICIG’s work, undermine the independence of the judiciary, and reverse progress made in combating impunity. The Trump administration’s vague response has emboldened the actions of President Morales and his allies. In Honduras, where corruption has reached high levels of government, the U.S. government was quick to support the re-election of President Juan Orlando Hernandez after a highly questionable presidential election process and post-electoral violence that left 16 dead and hundreds injured at the hands of the security forces. Foreign assistance should be part of a long-term strategy to help address the underlying factors forcing many families and children to leave their communities. The president’s proposal to slash aid to Honduras, Guatemala, and El Salvador is a misguided policy that will only make matters worse because it undermines the goal of helping to create a safer and more prosperous Central America.